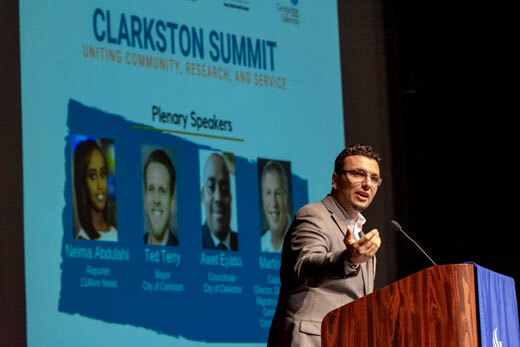 “Ever since we met in a Clarkston grocery store more than two years ago, Heval and I have dreamed of creating an event like the Summit. We firmly believed that bringing all of the assets of the community together would result in stronger collaborations and ultimately better support for all community members. As co-chairs of the Summit, we are both thrilled with the feedback we are receiving from the participants and are excited about what’s next,” says O' Connor. 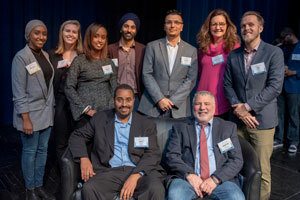 The fact that the Clarkston Summit attracted so many stakeholders early on a cold Saturday morning is testament to the hard work of the planning committee, which included representatives from Emory, GSU, the CDC, the International Rescue Committee, and Sagal Radio. Britton Tuck, EGHI Program Associate and logistics chair for the committee, will be compiling data gathered during the Summit as preparation for RIHWA’s next steps.